The game will remain playable until the May 31 shutdown, but real-money purchases will no longer be available, and all purchases made since March 1 will be refunded automatically. 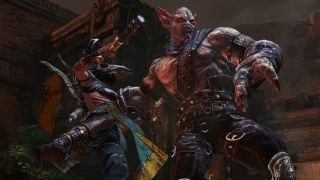 There will also be no further updates to the game and no more League seasons, but the ESL Nosgoth Open Beta Cup Series will continue to run through April. The Nosgoth forums will hang in a little longer, until June 14, so everyone will have time to say their farewells, or whatever else strikes their fancy.